Getting good answers about car accident process and experiences matter. ESTRA welcomes you. SEATTLE (ESTRA) -- The new ESTRA logo is a representation of many people experiencing the same harassment and intimidation, statistically speaking, that's millions of us. It represents a group effort to change laws insurance companies and self-insured employers benefit from through their insureds hardships. 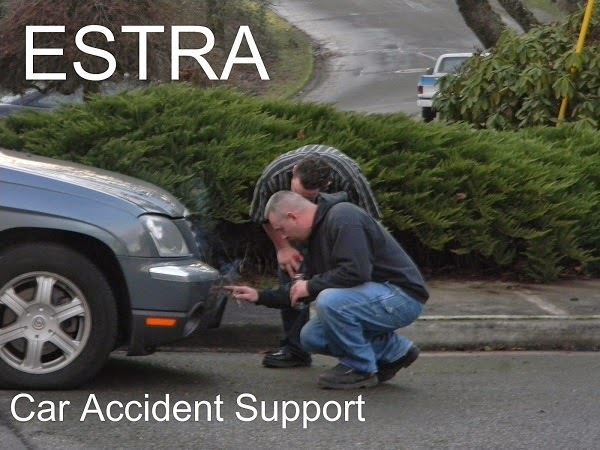 Thus, the goal of ESTRA is to elminate physical and emotional abuses from insurance and self-insured employers. 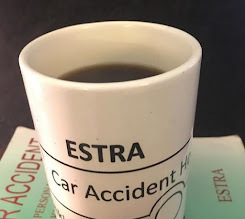 With so many links that have Estrasblog or Estra in the description, but are not related to this site, I thought it's important to help you recognize the official links that are generate by me, ESTRA. 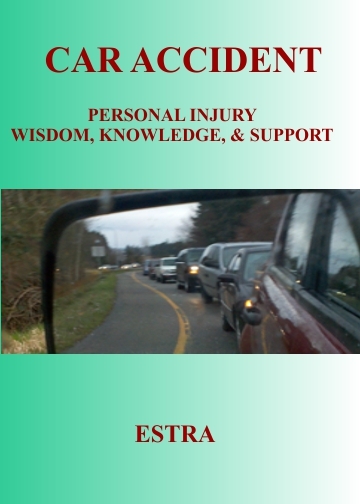 ESTRA's information provides hope, encouragement, and information to those dealing with insurance disability harassment and intimidation tactics in an effort to eliminate disability claims. Many individuals injured in car accidents are attempting to navigate their way through many processes that lay traps for them from the very start, especially if serious injury or becomes chronic in nature. When the information is provided about harassment and intimidation techniques, there is less confusion for the disabled person. In fact, one could begin developing a strategy of protection against this abuse. The primary reasons for these attacks are profits for insurance and self-insured employers. This perpetration on the sick or injured is because of short-term or long-term disability claims. Claims that insurance and self-insured employers would prefer not to pay out. However, the payment of these benefits to the disabled provide better life outcome for them and their families. 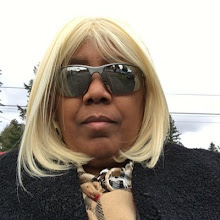 The suffering endured both physically and emotionally from daily harassment and intimidation efforts through insurance carriers and self-insured employers, creates an atmosphere for the disabled person that reduces their quality of life, if they become overwhelmed by this behavior. Many individuals find it difficult to express this to others people who have not experienced it. Sometimes the way movies legitimize surveillance makes some fearful about discussing it, or fearful that something bad may happen to them. But, knowledge is power and brings a true understanding of the plight of the sick and injured. Therefore, I hope by documenting some of this behavior, and sharing solutions to some of these problems, those suffering this abuse will have a better daily outcome, thus, a better life.